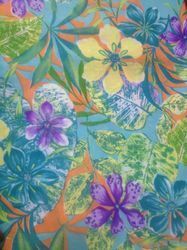 In order to meet excellent quality standards, we are supplying 60x60 Reactive Cotton Printed Fabrics. Chemiprint UBV 4 is a chemically treated modified gum with medium viscosity. It is specially developed for printings on polyester, silk and polyester blended fabrics with disperse and discharge printing. Banking on our enriched industry experience, we are able to supply Reactive Printing Fabric. Our reputed entity is engaged in supplying Reactive Printing Fabric. 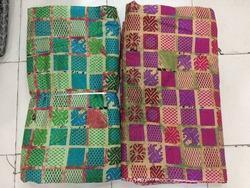 We are engaged in offering Reactive Printing Fabric.